Republic Day is celebrated as the day when India acquired a written Constitution and became an independent republic. This year, India celebrates 68 years of being a republic. The Constitution of India was adopted by the Constituent Assembly on November 26, 1949 and came into effect on January 26, 1950. 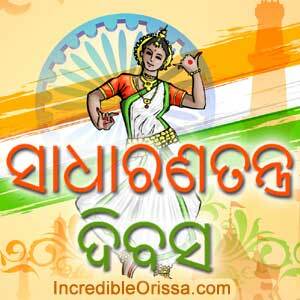 Thus Sadharana Tantra Divas is celebrated in Odisha and all over India on January 26 every year. The Constitution of India came into force and India declared itself as a ‘Republic’ on this day. The date thereafter is celebrated annually as Republic Day in India. The country celebrates the day with vigor and excitement. Especially in the Capital, the grand and colourful Republic Day parade is something that a lot of Indians gathered at the India Gate and Rajpath looks forward to seeing. The rich culture and heritage of India is celebrated along with the unity in its beautiful diversity. 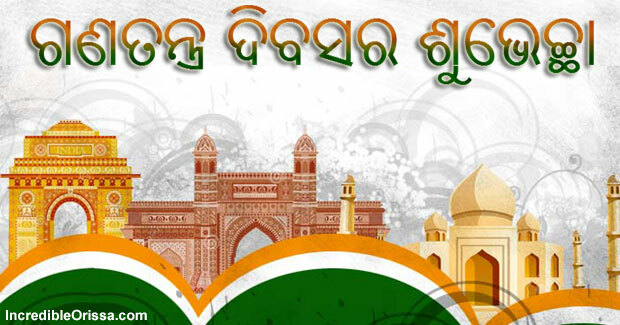 Happy Republic Day Facebook cover photo in Odia language, fb covers get online here. Download Republic Day 2019 wallpaper, Odia image, information, Oriya language speech, essay, songs, meaning, sms, greetings to your laptop, mobile, tablet and computer free here. Happy Republic Day 2019 WhatsApp dp, image, status and video in Odia langauge here.